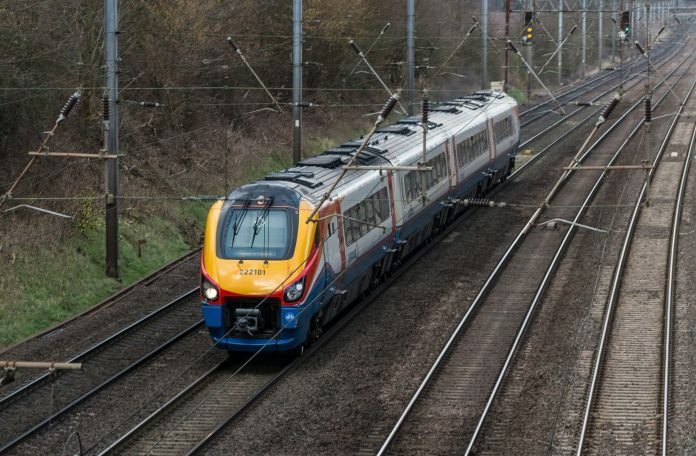 Abellio, Arriva, Stagecoach and a FirstGroup/Trenitalia joint venture have been shortlisted for the new East Midlands rail franchise. The route has been operated by Stagecoach under the East Midlands Trains brand since 2007. The company has been shortlisted despite being under scrutiny for the performance of its East Coast operator, VTEC. Transport Secretary Chris Grayling said there was “no adequate legal grounds to restrict Stagecoach from bidding”. It is the second time that the DfT has announced a shortlist for the East Midlands franchise. The competition process was restarted last year following the cancellation of the Midland main line electrification programme north of Kettering and Corby. Stagecoach chief executive Martin Griffiths said: “We are also pleased to have been shortlisted for the new East Midlands franchise. The new franchise is due to begin in August 2019. Great to read that Mark Carne is at long last leaving Network Fail and hopefully Network Rail will be reborn! Branson and Souter the Virgin/Stagecoach’s rail company should not be allowed to bid for the East Midland franchise and should be bared from running any rail franchises inn the UK. The East Coast Rail Line ran far better before Virgin/Stagecoach grabbed the franchise and failed spectacularly! No more Branson or Souter on the UK railways. Oops – that’ll teach me to make internet posts in the middle of a busy day! I reckon its either Abellio or joint venture of FirstGroup+Trenitalia that might take over the East Midlands franchise. Which also means train manufactures such as Bombardier, Siemens, Hitachi, CAF etc to manufacture new rolling stock trains to replace the Class 43 HST’s and Class 222’s Meridian DEMU’s.